The 10 most xenophobic countries in Europe are a prime example of the fact that Europe is not quite as progressive as it is made out to be. Europe is considered by some to be the most advanced continent on the planet, with Western Europe being a host to countries with excellent economies and a positive, liberal outlook. Countries like Germany, France, Italy, Switzerland, Austria, Denmark, Netherlands and the Scandinavian countries are benchmarks by which other countries try to emulate. And to a certain extent it is true that many European countries, in addition to bustling economies, have always been more accepting and tolerant than other countries, including the United States of America. After all, while being transgender is a recent issue in America, one which is still extremely controversial which has involved everyone, from the President of the country to its average citizens, in Norway, it was nothing exceptional even back in the 1920s! After all, Magnus Hirschfeld, a German physician and sexologist, was responsible for the creation of the first gay/lesbian/transgender organization in history. In 1897. Let that sink in for a minute. Apparently, many Europeans were more tolerant over a century ago than we are now. However, that does not mean that all Europeans are accepting of everyone, a point which allows us to mention xenophobia prevailing in Europe. While most countries have become progressive with age, it seems Europe is regressing and there is a valid reason as to why that is happening. When the civil war in Syria took place, along with the revolutions in Arab countries, tens of thousands of people fled their countries to establish a life in relative security in another country. Some European countries took these refugees with open arms, and many believe these thousands are not contributing positively to the country. But then the Paris attacks occurred in November 2015 and the mood turned sour. When 130 people die in a country which has little to no history of extreme violence, people will be angry. Add this to the sexual assaults carried out by immigrants on New Year’s Eve 2016 in Germany, which further stoked anti-immigrant sentiments among the locals and now, it is not surprising to see that Europeans are not as welcoming as they once were. Another reason why Europeans can be xenophobic is the fact that they are afraid that the immigrants will fail to assimilate in their country and accept their culture, and will instead try to force their own cultures and traditions. This is a serious issue because it is quite understandable for the nationals to want immigrants to accept their culture and live in accordance with it. After all, if you invited someone to your house and they started enforcing their rules instead of adhering to yours, you would be likely to never invite them again. An important thing to remember is that there is a subtle difference between xenophobia and racism. While many on the the internet are likely to use the two terms interchangeably, that is incorrect. Xenophobia refers to the prejudice or dislike towards foreigners, i.e. people from other countries. A racist is a person who dislikes or is prejudiced against people of different races. As I said, the difference is subtle but present. Perhaps the reason that the two terms are used interchangeably is because most people who are xenophobes are racists as well and vice versa. 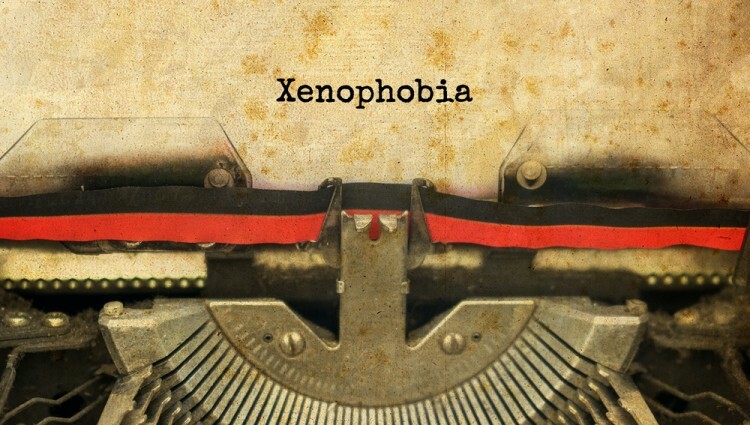 If you want to learn more about the countries where xenophobia is barely present, you should head on over to the 10 Least Xenophobic Countries in the World. Our rankings were based on the World Value Survey, which covers data from 2010-2014. However, the survey did not cover many European countries, with only 15 countries in the survey being from Europe. Hence, we also included the European Value Survey, though unfortunately, the last survey was carried out in 2008, and it is likely that the percentage of people who are against immigrants has increased due to the recent hysteria surrounding immigrants. The survey asks participants of dozens of countries different questions and assesses the responses of the participants. One question which we thought relevant to xenophobia was ‘On this list are various groups of people. Could you please mention any that you would not like to have as neighbors?’ The countries where the largest percentage of respondents answered with ‘Immigrants/Foreign Workers’ ranked higher on our list. It is interesting to note that while many countries don’t often have a significant issue with foreign neighbors, the majority of respondents in most countries still wanted to be given preference of immigrants when it came to jobs. So the basic response is, we are fine with foreigners as long as they don’t threaten our jobs. We should also consider that only a couple of thousand respondents were selected from each country, and the sample may be too small to accurately represent the preferences of each country. Without further ado, let’s check those most xenophobic countries in Europe.